Juice Fasting is something that we should all do periodically, at least every six months. Here are some tips to help you get the most out of your next five-day cleanse. If you like to be prepared, you can plan out your juices for the week and what you're going to throw in them. It's good to have a rough idea of the types of juices or green smoothies you'll be making during the fast, and shop accordingly. This avoids waste and saves money. Also, stock up on herbal teas. You can have as many herbal teas as you like during the day, and it's a great excuse to buy some more exotic blends, especially any herbs that are beneficial to and aid detoxing. Another great drink to have during the day is lemon in hot water with some ginger. Blend up a small piece of ginger with a glass of filtered water and you have a lovely ginger juice to go with your hot lemon drink. Very alkalising and detoxifying. I'd also strongly recommend booking a colonic or two along with some infra-red sauna sessions and massages. They are great at helping move the detoxification process along as some of you may find (as I do), things just stop working all together! And during a detox its crucial things keep moving. Buy a dry skin brush from your local health food store, or sometimes a good chemist will sell them. These help stimulate the lymph system and remove dead skin cells daily. Let your friends and family know of your planned juice fast, and ask for their support during this time. They may think you are crazy, but you're in a great position to set an example and be a walking advertisement for all the benefits of doing a juice fast! It might even inspire them to go and do one themselves! Try to scale back your social engagements, it will be way too tempting to be out and surrounded by food and possibly alcohol. Have some guided meditation CDs on hand, as these will come in handy during those moments of wanting to give in! Also get online and chat to others who are also juice fasting at the same time as you. Moral support is so important during this time and really does help. Buy a journal so you can jot down daily how you are feeling before, during and after the fast. This will be great to get those thoughts, feelings and emotions out as well as to look back on after the fast. Also please check in with your healthcare practitioner before starting a juice fast, especially if you are on medication, have a serious illness or pregnant. Most people experience some sort of detox reaction during a juice fast. I remember mine vividly! I had serious detox brain and could not even string a sentence together. It's important to check in with your body on a daily basis during the fast. If you're feeling tired that day, take it easy and try to schedule some nap time if possible. If you're bouncing out of bed, then feel free to do your usual routine, including exercise. Tiredness, moodiness, anger, weakness, light headedness, insomnia, skin breakouts, irritability are among the more common ones. If you have a recurrent health issue (ie. eczema, acne, sinus issues), be warned that may get worse before it gets better. It's important to be patient and breathe through these periods, call on a friend or chat with someone who is going through the same thing. You might find that a lot of emotional stuff surfaces, too. Just take deep breaths and know that these moments shall pass. By the end of the five days, you'll will be feeling incredible. Journalling every day helps, too. Why do these detox reactions occur? 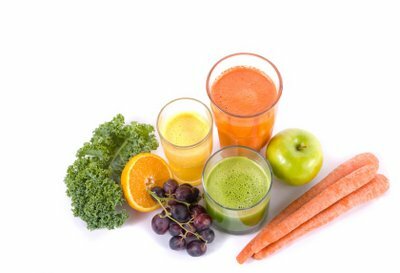 By doing a juice fast, you are telling your body you are ready to heal and detoxify. It starts cleaning house, but if you have a lot of toxins, your body will be working overdrive to dump those toxins, making you feel sick. Your bowels may decide to have you spend most of the time on the toilet or the complete opposite! These are brilliant at removing blocked waste matter and toxins from the colon, as well as toning the bowel and creating a clean environment internally to allow good bacteria to flourish and colonize. Good bacteria cannot colonize a toxic environment, an important tip if you really want your expensive pro-biotics to work. This is my favourite sauna, far better than a Swedish sauna, because it penetrates deeper into the skin's layers and targets organs to detox from the inside out. Plus, there is no blasting steam, just a nice dry, comfortable heat. This is a wonderful way to move toxins out of the body. Not only does it feels great, it will help you sleep better, too. As mentioned before, do this at a pace that suits your body's energy levels during the juice fast. Gentle walks or yoga are great for the low energy days. If you feel up to it, do your normal exercise routine if that means a run or hitting the gym. Working up a sweat is also a great way to get toxins out of the body. Direct sunlight on our bodies gives us energy, and that really important vitamin, vitamin D, which boosts our immune system and helps prevent cancer. Sunlight also triggers our body to produce 200 anti-microbials that kill off bad bacteria, fungi, parasites and viruses. Try to get at least 15 minutes to half an hour of sunshine a day, as the best way to get vitamin D into your body is on skin without sunscreen. (Try to avoid peak UV periods if you're concerned about sunburn.) Roll up your sleeves or expose a leg or two! A dry skin brush is essential for a daily mini detox, and makes you feel good! It also makes your skin lovely and soft and helps banish cellulite. Do in the morning for a few minutes before you get in the shower. Start by brushing in long sweeps from the base of your toes, work up your legs, up to the middle of your body, working towards your heart. Then start from the tips of your fingers and work in long sweeps down your body towards your heart. Make sure you do your neck, and back as well. Your body should be tingling all over. Please note: Do not store juices in the fridge to drink later, unless you own a Cold Press Masticating Juicer such as the Oscar Neo. Juices oxidize very quickly and will not be beneficial to you unless drink them immediately. However, some people do continue the fast for another few days or weeks. Your body will signal when its really, truly ready to eat again. This does not mean a trip to McDonalds or a three course meal from the in-laws who mean well. Breakfast: On your first day off the juice fast, I recommend a fruit bowl (and only fruit) for breakfast. If you prefer not to have the fruit, a simple, light salad with a lemon juice, dressing would be a lovely way to break the fast. Lunch: Continue with a salad for lunch, you may want to include some sprouts and fermented foods (cultured vegetables) here. These types of foods are pre-digested, which makes them easy to digest and the cultured vegetables are teeming with good bacteria. Dinner: Lightly steamed vegetables tossed with lemon juice, dulse flakes and himalayan sea salt would be a nice option for dinner. Or maybe a miso soup or a raw vegetable soup with garlic and some cayenne pepper. Continue eating light foods such as these for two days. On Day 3 continue to eat light meals but you may start to re-introduce nuts and seeds, for example breakfast could be some mixed soaked nuts with soaked chia blended to make a morning breakfast porridge and add some home made raw almond milk. Add back in the good fats such as Coconut Oil, Avocado, Extra Virgin Olive Oil, Hemp Seed Oil or Flax Seed Oil. Add in some gluten free grains, such as Quinoa, Amaranth or Millet to your meals. On Day 4, continue to eat as above, but you may introduce some light animal protein (if you wish) such as steamed fish, chicken or eggs to your meal. Ensure the fish you eat is high up on the food chain and all eggs and chicken are organic and locally sourced. On Day 5, you may re-introduce dairy and meat if you desire. However if you do, any dairy should be raw (not pasteurized) and any meat should be grass fed, organic and locally sourced. Keep in mind food combining principals also when planning meals. And finally, the most important part is to congratulate yourself! What a huge achievement and truly special way to honor yourself--to allow yourself to become a healthier, stronger more vibrant version of you! What to Eat for Fab Abs!